Acer introduces its new Chromebook, the C720 - the best performance 11.6" Chromebook with speed, simplicity and security all built in. 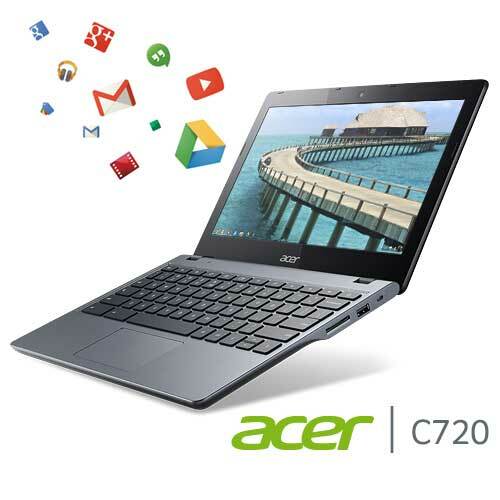 Continually updated, always new, the Acer C7 Chromebook keeps getting better and better. It starts in seconds, is powered by the new Intel® CeleronTM 2955U Haswell micro-architecture processor and has up to 8.5 hours of battery life giving you all day to run your favorite Google apps or access your photos, videos, music and documents from anywhere.